Deanna Shrodes: The big 1-9 for Jordan! 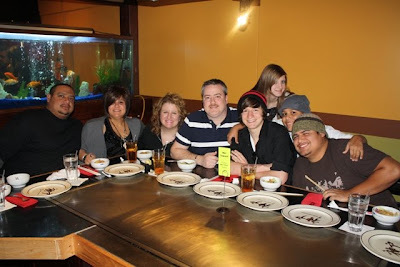 We went with his "second family" ~ the Riveras, to our family favorite for birthdays, Kobe Japanese Steakhouse. Left to right ~ Eddie, Candy, me, Larry, Jordan, Eddie Jr. and in back to the left Savanna, and Elijah. 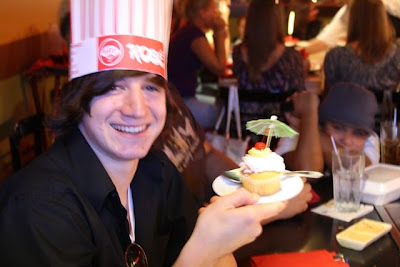 A good time was had by all...Jordan is 19 and it's so hard to believe! Just yesterday I was putting him in his carseat and rocking him to sleep.